GMOs are destroying our health and environment. With all of the conflicting information out there about GMOs, it’s hard to understand. That’s why I am going to break down the basics of GMOs for you and tell you why you should care. GMO stands for Genetically Modified Organism and is most often referred to when it comes to our food. The DNA from other plants, viruses, animals and bacteria are injected into the cells of existing species. This is supposed to make them more resistant to the rain, drought, pests, etc. Up until this point, these viruses and bacteria have never been a part of the human food supply. This sounds great. What’s so bad about them? At face value this might sound great, but there are risks that are involved in such technology. GMOs have not been proven safe and have significant restrictions or outright banned in over 30 countries across the globe. 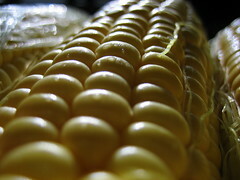 They are widely grown and used in the food supply in the United States and there is no way for us to know. GMOs should be labeled, so we can make decisions for ourselves. Whether they are good or bad is a moot point. It’s a right to know issue. Monsanto has been able to patent their GMO seeds, so they own the seed. They also have an exclusive deal with Scotts Miracle-Gro who sells Round-Up. Now there is a company that owns and sells a seed that is resistant to a spray that they profit off of also. Monsanto makes money off the consumer on both ends. The fact that a company can own a seed and have that much control over our food supply is a scary thought. Monsanto currently owns about 90% of the seed supply out there. That means they control distribution, costs, etc. Scary. If GMOs aren’t considered safe, why would government allow them in our food system? “The Federal Food, Drug, and Cosmetic Act requires the FDA to prevent consumer deception by clarifying that a food label is misleading if it omits significant, “material” information,” said Naomi Starkman founder of Civil Eats and contributor to the Just Label It campaign. “In 1992 however, the FDA issued a policy statement that defined “material” by the ability to be sensed by taste, smell, or other senses. If you also look closely at who holds federal positions, you will notice that many of them have held positions with Monsanto as well. 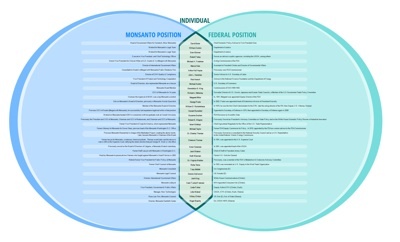 Click the image below to get the full picture of the connections between Monsanto and Federal Positions. Now on to the most important part…what you can do. 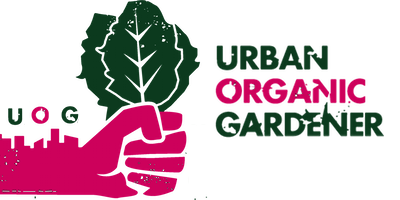 Start your own urban garden using non-gmo seeds. Sign the petition at JustLabelIt.org to let the FDA know that you want GMO foods labeled as such. Use the buttons below to share this post with friends and family to let them know about GMOs.